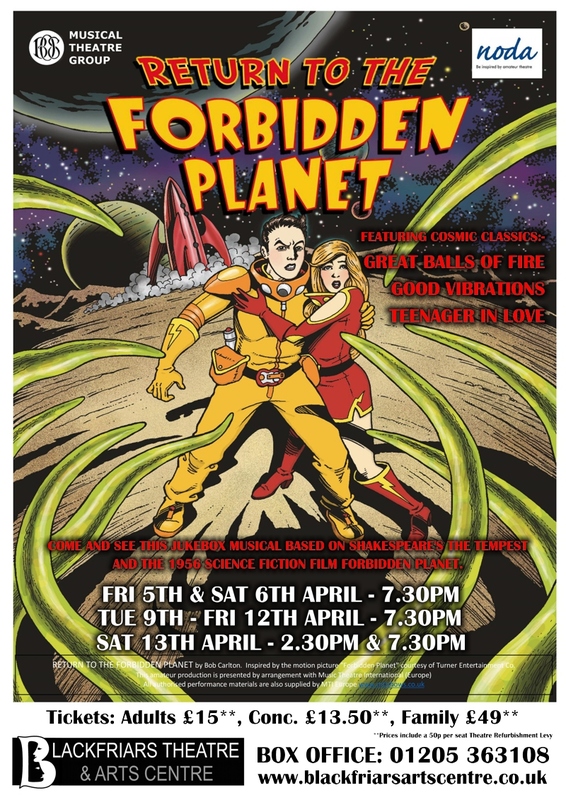 Join the award winning BOS Musical Theatre Group on their next journey….. Return to the Forbidden Planet. Come and see this jukebox musical based on Shakespeare’s The Tempest and the 1956 science fiction film Forbidden Planet. Featuring Cosmic Classics – Great Balls of Fire, Good Vibrations, Teenager in Love and many more….